You are here: Go to home Breadcrumb Separator Leisure Centres Breadcrumb Separator Allerdale Breadcrumb Separator Workington Leisure Centre Breadcrumb Separator News Breadcrumb Separator Do you want to step up your current workout? Why not give our new step classes a go? Do you want to step up your current workout? 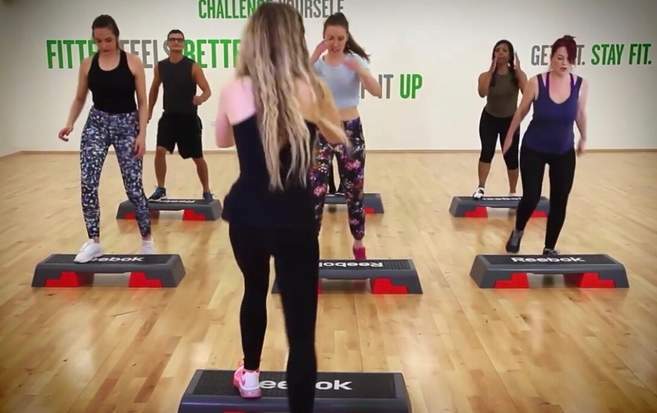 why not give our new step classes a go? New Power step classes are coming to Better, Workington! Step it up and get in great shape. These motivational classes use our new Escape Fitness system steps and mini step risers. These classes are ran to fast music for a high intensity workout in a 30 minute blast class. It’s so much fun, you’ll forget you’re working out! Step classes are part of our Let’s Move programme of fitness classes so get fit and feel great. These fun, energising group activities are guaranteed to put a smile on your face.